Transition to renewable energy is an ambitious goal that entailsholistic reforms in power sector. It requirescrucial steps for harnessing the available renewable resources, major transformation in energy infrastructure,political will and legal framework support in place between electric companies, municipalities and policy makers in the private sector.Moreover renewable portfolio standards can alsoensure measurability of the set target mandated by law. According to the ‘Renewables Readiness Assessment’ by IRENA, Pakistan has up to 60GW of economic and technical hydropower potential, 50GW of theoretical wind potential in Sindh and Baluchistan provinces and estimates that 25 million tons of biomass feed stocks from industrial and agricultural residue can be made available for use every year. Though country has rich solar, wind and hydel energy resources, yet since decades, is unable to deal with deep-rooted energy crises due to weak renewable energy policy 2006. Despite high subsidy by government to fossil fuel dependentpower sector, there is still awidening gap ranging 5MW -6MW in energy production and supply because of continued growth in energy demand and inadequate investment in generation infrastructure. China Pakistan Economic Corridor CPEC has 21 energy projects, with 11000MW will be taken into the national grid of Pakistan. Number of solar, wind and small hydel (hydro-electric) projects are part of the CPEC initiative. By now3 wind power projects (Gharo, Jhimpir), 2 coal-based projects (Sahiwal and thar)and 1 solar (Quaid e Azam solar park) projects having capacity 3,720MW, have been inaugurated.Besides carry on selling solar-powered tube wells at subsidized rates, Punjab provincial government with foreign funding will convert hundreds of thousands of conventional tube wells on solar power. Moreover, Pakistan Alternative Energy Development Board (AEDB) has to ensure 5% of total national power generation capacity to be generated through renewable energy technologies by the year 2030. In addition, under the remote village electrification program, AEDB has been directed to electrify 7,874 remote villages in Sindh and Baluchistan provinces through Alternate and Renewable Energy (ARE) technologies.Since 2015, the installed capacity of other renewables has edged above 1 200 megawatts (MW), including nearly 600 MW of wind power, 400 MW of solar photovoltaic, 50 MW of small hydropower, and 160 MW from biomass. Renewable-based projects currently under development will provide another 2 000 MW.“the installed capacity of alternative and renewable energy sources in the power sector has already risen from 0.2 per cent in 2013 to 5.2pc of total installed capacity in 2018.” Minister of Power division shared. Major chunk 64.2% of Pakistan’s energy mix comprises ofimported oil and gas, besideshydropower, coal and nuclear energy. The government has allocated power sector higher subsidies (Rs. 188 billion) in 2018-19 compared to current fiscal year 2017-2018 (Rs. 118 billion)- an increase of 59 percent. According to the ministry of Energy (Power Division) the circular debt in the power sector had reached an alarming figure of Rs573 billion.Circular debt is the amount of cash shortfall within the Central Power Purchasing Agency (CPPA) that it cannot pay to power supply companies. This revenue shortfall cascades through the entire energy supply chain, from electricity generators to fuel suppliers, refiners, and producers; resulting in a shortage of fuel supply to the public sector thermal generating companies (GENCOs), a reduction in power generated by Independent Power Producers (IPPs), and an increases in load shedding. Whereascost of electricity generation from March to July 2018 stood at Rs8.52 per unit and consumers paid Rs11.9 per unit. Rather than improving existing power generation infrastructure, we can see a deliberate shift of energy generation from cheapest and environmental friendly Hydroelectric to thermal power production; from fossil-fuel (oil-gas & coal) without any consideration of negative externalities such as health and environmental cost. After 70’s no dams were constructed in the country. Energy policies (1994, 1995, 1998, 2002, and 2004) put emphasis on the private power production and the lucrative incentives were offered for thermal independent power producers (IPPs) run on imported oil.The share of fossil fuels; 64.2 from oil & gas adding energy insecurity and reliance of energy import, oil in total primary energy supply has risen consistently. Moreover, nearly one-third of the country’s oil demand is met by imports, exposing the country not only to the budgetary burden, but also to the risks presented by the volatility of oil prices on international markets. The scenario leads to higher subsidies by government to energy sector. Energy poverty has crippled the Pakistani industry. It has stunted Pakistan commercial sector, exports has declined and services has been restricted. Currently, there are approximately nine coal power plants in the country at different stages of construction. The country indigenous coal i-e Thar coal is used after gasification, required huge infrastructure cost for the process. The existing grid infrastructure in Pakistan is not updated. The Govt. need to undertake significant effortsin many areas to achieve the set targets in line with the Paris Agreement (2015). 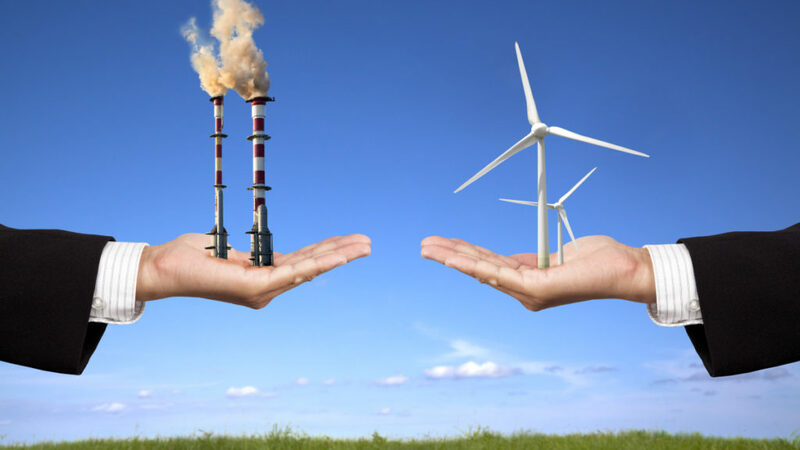 Energy Policy 2006 dedicated for development of renewable energy sector for power generation needs to be revised to become attractive offering incentives for investors. To ensure a sustainable future, the emphasis should be investing on available clean/renewable energy resources rather to subsidize fossil-fuel. The duty on the renewable energy technologies RETs like solar panels as well as the related accessories like convertors should be slashed. Rather subsidies should be given.Being neighbor of China will make the solar panels import cost fairly low. Solar power system domestic installation provides energy to a single home and also can have utility scale solution powering a whole town.The efficiency of solar system does not change with scale unlike power sources. Enhancing the scale may tend to low down the price because of Economy of scale.Pakistan’s existing cottage industries using UPS can be directly integrated with the solar PV system and can also provide energy storage option.Provision for net metering and feed in tariffs should also incentivized solar revolution. Transition through renewable energy economy is a bottom up approach allowing towns in residence to pool their energy resources and become more self-sufficient using shared energy.There is great employment opportunities in solar PV, wind and Bio-mass. Jobs in installation (construction workers, installers etc.) account for the bulk of employment, followed by jobs in business development. The estimates indicate thatjust solar industry will employs more than 15, 500 people. Employment in PV and wind manufacturing remains limited to the industries that prepare mounting structures and electrical equipment. As deployment grows in both small- and large-scale markets, solar, wind and other renewable energy technologies can provide a growing labour force with much-needed job opportunities. But bio-mass and bio-fuel can be taken up from small to large scale in agriculture sector.